I’ve flipped the sketch on it’s side as it worked better for my layout. 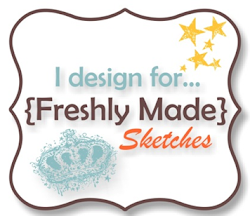 The pink designer series paper that I’ve used is from a Stampin’ Up! one called Fan Fair and the newsprint paper is from a retired Stampin’ Up! one called Newsprint (I guess that was appropriately named!). I’m really liking the colour combo – Crumb Cake (or Kraft my non-Stampin’ Up! followers), Pink Pirouette and Very Vanilla, so this is what I’ve gone with. Ah! I just love this stamp set and won’t let it out of the house! I’ll never sell it I think the hydrangea is beautiful and I love it’s sentiment Because I Care. The Crumb Cake Seam Binding is looking fabulous here, love this paired with pink pirouette! So pretty Narrelle! Beautiful card, love how you flipped the sketch! Great choice of colors and stamps. Love the added bow! 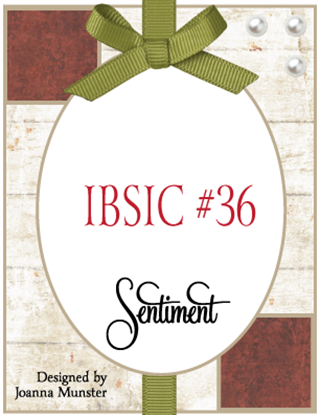 Thanks for joining us at IBSIC! Drop-dead gorgeous!! LOOOOOVE this card, my friend. The sketch does look good on the side when you do it up like this. Very pretty bow embellishment and the popped up hydrangea works a treat. Great colour combo. 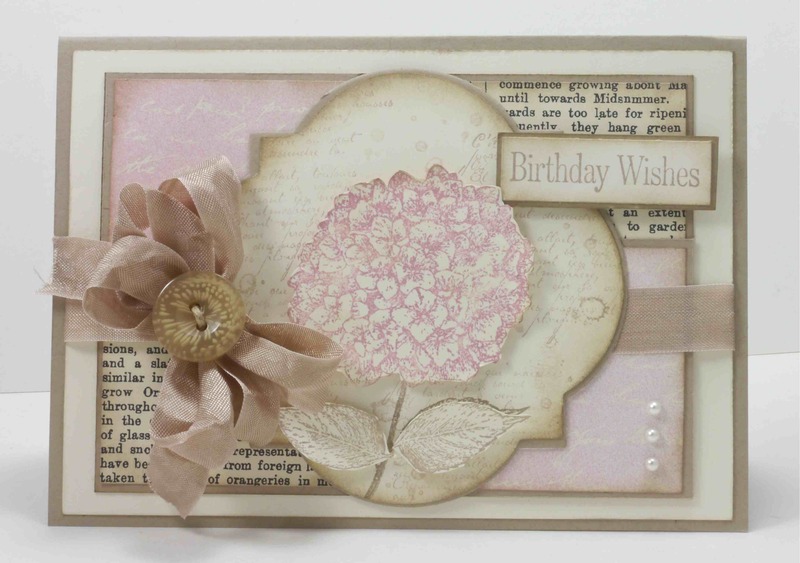 Narelle your card is so pretty and girly and devine and I love that you flipped the sketch.